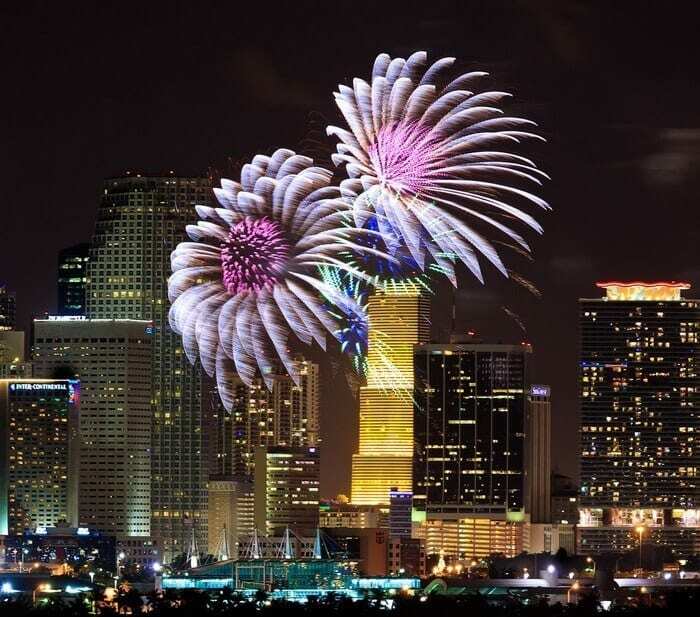 Miami Beach is the most expensive destination in the world for accommodation on New Year’s Eve this year, according to a new survey. The survey compared hotel rates in 50 cities across the globe. For each destination, the price for the cheapest available double room for a 3-night stay from 30 December – 2 January was determined. Only centrally located hotels rated at least three stars and with generally positive guest reviews were considered for the survey. With a nightly rate of $281 ($843 for three nights) for the least expensive room, Miami Beach leads the ranking. Only a few dollars cheaper are Sydney and Dubai, which complete the podium with rates of $274 and $272 per night, respectively. Among other US destinations considered for the survey, New Orleans ($269), New York City ($224) and Nashville ($216) feature in the Top 10 most expensive cities for hotel stays this New Year’s Eve. At the other end of the spectrum, more affordable hotels can be found in US cities such as Seattle and Chicago, which are offering nightly rates of $116 and $105, respectively. The destination with the highest relative rate increase for New Year’s Eve is the Taiwanese capital of Taipei. Here, guests will have to spend $175 per night for the most affordable room – that’s almost 500% more than a regular night’s stay in January. The following table shows the 10 most expensive destinations in the world for hotel stays on New Year’s Eve. The rates shown reflect the price for the cheapest available double room for the period spanning 30 December to 2 January. For comparison, the percentage increase on average rates in January for the same destination is shown in brackets.